Lower Collaton Farm offers tranquil seclusion without being isolated and come with its own coach house amid an acre of grounds. 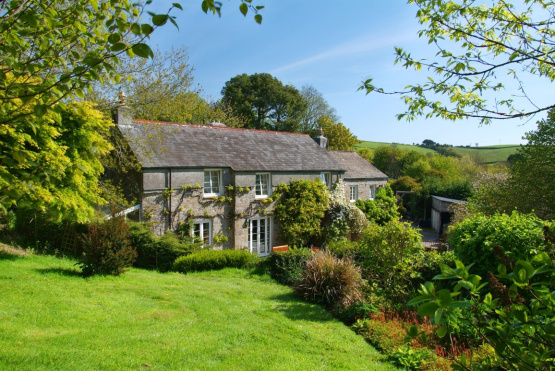 The property lies inside the parish of Salcombe and can be found at the end of a quiet country lane with nearby footpaths leading to North Sands beach and the coast path beyond. The village amenities of Malborough are just 3/4 of a mile away. Lower Collaton Farm is a fine example of a Devon Longhouse, the oldest part of which is thought to date back at least 450 years. From its wonderful south-facing position, it enjoys splendid views over surrounding countryside. The house has been skilfully restored and refurbished to an exceptionally high standard and the accommodation includes three well-proportioned reception rooms, a splendid farmhouse kitchen and four bedrooms. The Coach House has been converted in the last few years into a really comfortable and attractive detached cottage, providing excellent accommodation for family or guests while also presenting a potential letting opportunity. The accommodation of The Coach House comprises of a kitchen, sitting/dining room, two bedrooms with en suite facilities, a third bedroom and separate shower room.